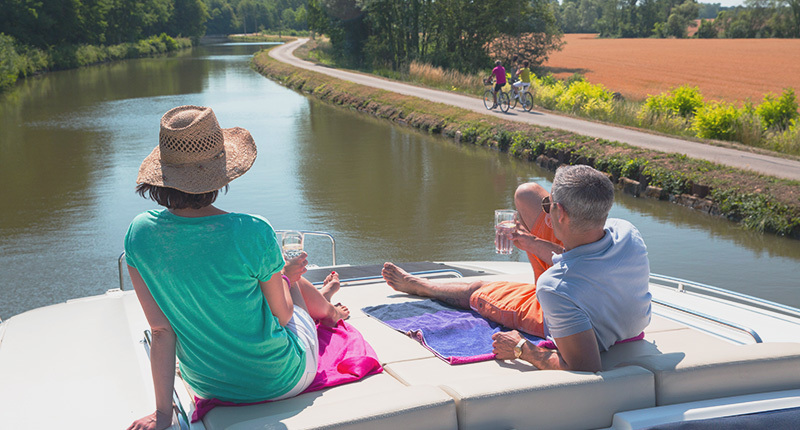 Unique to Le Boat and unlike any other boat on the waterways, the Vision line boasts the very latest in marine technology for efficient and effortless cruising. Available in six different models, each configuration offers a modern, spacious and sumptuous interior which will appeal to everyone looking for a truly comfortable cruising experience. Continuing to set new standards, Le Boat now has the SL models with high performance design along with comfortable, yet stylish features. 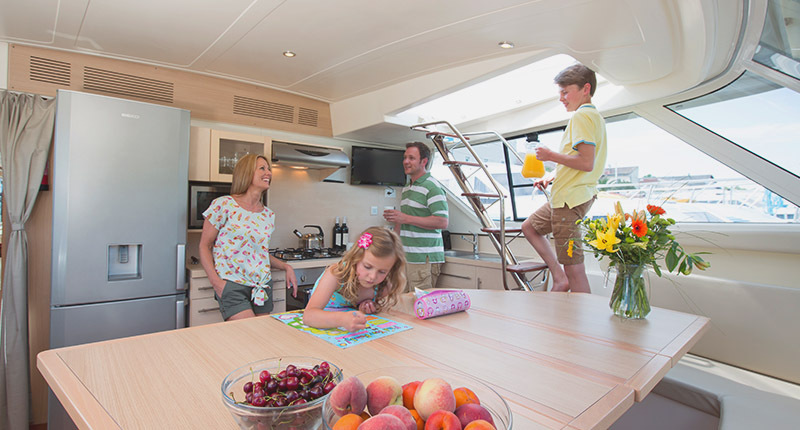 A larger sun deck along with easier access to it with a staircase in the saloon and even a lower clearance level for access to more itineraries, the SL is a step above. All interior spaces of the Vision Series were designed to provide maximum light. Soft color tones, a contemporary décor, and an eye toward functionality make the boat a pleasure for cruising. The saloon offers superior visibility of your outside surroundings along with air-conditioning, flat-screen TV and more. The joy-stick maneuvering function makes our largest boat the easiest to handle and offers you a completely unique experience. 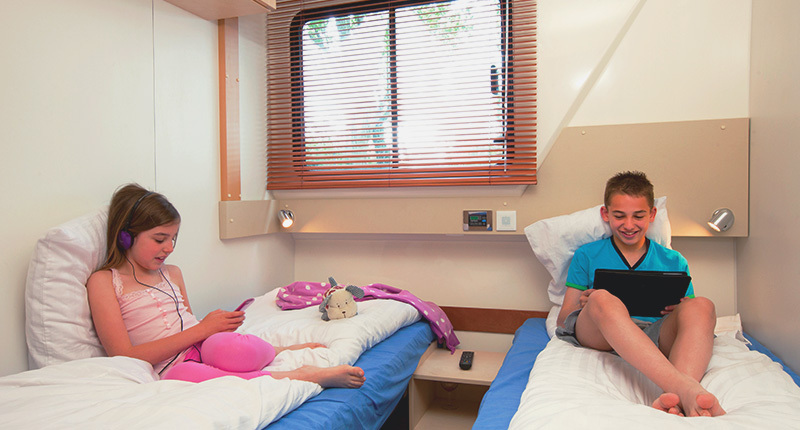 With all the conveniences of home and en-suite bathrooms equipped with showers in every cabin, the Vision series is comfortable for all moments of your vacation.